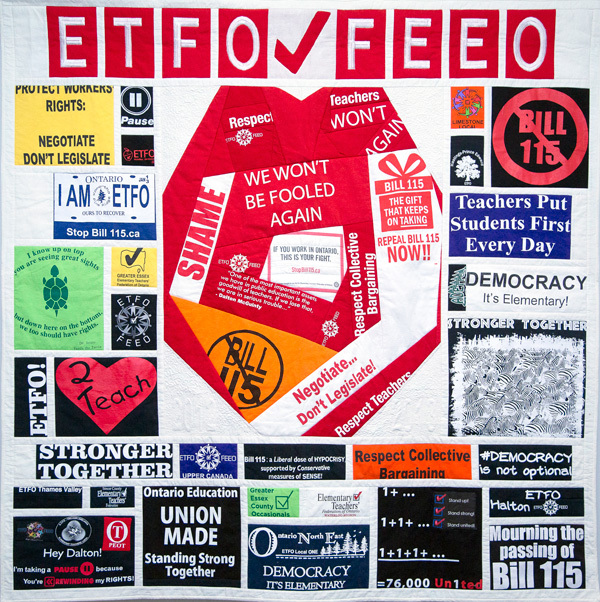 Following is a joint statement signed by the Canadian Union of Public Employees (CUPE) – Ontario, Elementary Teachers’ Federation of Ontario (ETFO), Ontario Public Service Employees Union (OPSEU), Ontario School Board Council of Unions (OSBCU), and the Ontario Secondary Schools Teachers’ Federation (OSSTF). As parents, educators, front-line workers, education stakeholders’ and as concerned residents in Ontario, we strongly urge the government to rethink its rash decision-making on the Ontario Autism Program and put the needs of children with autism first. The Ford government’s reckless changes to the way it supports children with autism – in particular, its cuts to direct public and not-for profit services in the community – puts desperately needed services at risk. These changes are a devastating blow to thousands of families and will undermine the inclusion of children with autism in the public education system. We believe no child should be sacrificed because of government cuts, and we believe in universal access to public education for all children regardless of family income, race, gender, sexual orientation, language and ability. No two children with autism are the same and this is why the government’s one-size fits all approach is not a viable solution. Our schools require a systemic approach and public funding to offer a strong network of learning. A government approach that relies heavily upon individual financial resources is not a solution, it is a problem. Ontario needs a system-wide solution to support the different needs of students within schools because every child matters. Ensure that the necessary supports and direct, public and not-for-profit services are in place for children with autism in Ontario. Immediately institute more school-based supports for children, including funded training for educational workers and increased funding for special education teachers, educational assistants, psychologists, behavioural therapists, school support counsellors, child and youth workers and speech-language pathologist. Invest wisely with our public dollars by supporting and protecting our public schools and our public services. Standing united, we, the undersigned, offer our support to the children and families in Ontario. We call upon the provincial government to provide the necessary supports for all students with autism and special education needs. This is no time for government excuses. Ontario can afford to support the children of this province and build a brighter future for them. In fact, we can’t afford to do it any other way.